Enjoy programming that is hosted by a growing group of activists who are determined to end marijuana prohibition and restore the use of industrial hemp all around the world. It REALLY IS Time 4 Hemp! 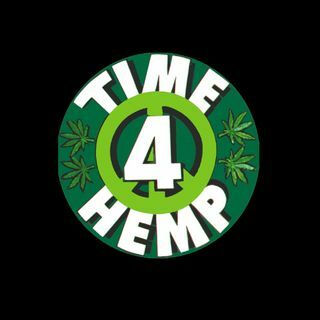 Time 4 Hemp is the ONLY ALL CANNABIS broadcasting network on iHeartRadio that airs 24/7! We have many different hosts from around the world - each one dedicated to ending the War On Drugs. If you are searching for music and talk about the need to end marijuana prohibition - this is sure to be one of your favorite networks. Here you ... Maggiori informazioni will find reports from the front lines of the political push for medical marijuana in America and the need to reintroduce industrial hemp back into the global economy. Programs are produced all around the world and the music that's featured celebrates the many wonderful aspects of the cannabis plant.